A wife was berating her husband. He motioned for her to quiet down saying, "Don't unleash the beast in me." 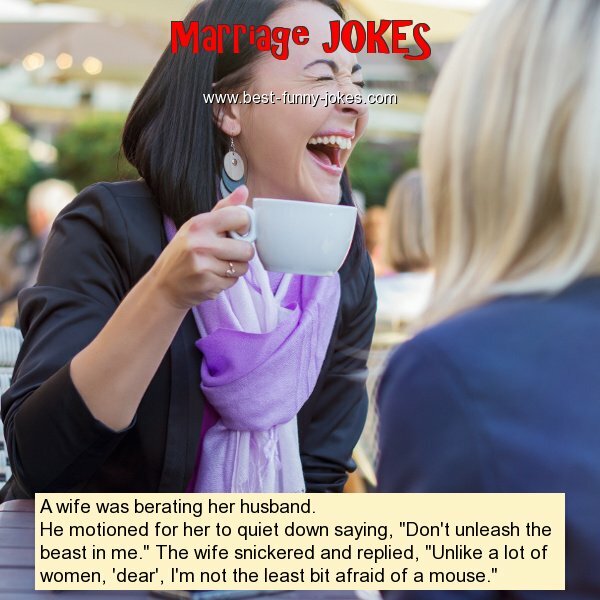 The wife snickered and replied, "Unlike a lot of women, 'dear', I'm not the least bit afraid of a mouse."